If you are one of the millions of people around the world who waited in line to get an iPhone 6 and got a unit then congratulations. You are now a proud owner of the latest Apple smartphone and quite possibly one of the best iOS devices out in the market today. As you bring your new phone home the first thing you will want to do is to set it up so that you can use it immediately. This guide will show you how to properly setup your phone and will also help you avoid some of the common problems several owners have with the device. The first thing you will want to do is to turn your iPhone 6 on. Unlike previous models where the power button is located on top of the phone this time it is located in the upper right side. Just press on it until you will see the Apple logo on your screen. There is going to be a Setup Assistant to guide you in the setup process. You will have to enter your language of choice and ask you to connect to your Wi-Fi network so that you can setup your iCloud. If you do not have an iCloud account yet then you will have to create one. Speaking of iCloud, Apple has a new service called iCloud Drive. If prompted to upgrade to this new service simply choose no at this point of time. The reason behind this is that you won’t be able to access the data that you uploaded unless the device you are using is upgraded to iOS 8 or OS X Yosemite. If you own a Mac then you won’t be able to access your cloud data since OS X Yosemite hasn’t been released yet and won’t be out until next month. If you are currently upgrading from a previous iPhone then you can import all of its settings, contacts, apps, photos, and other content to your new iPhone 6 as long as the data has been stored in iCloud. You can sync your data using iTunes using the Restore from iTunes Backup setting. The easiest way to do this is to simply connect your phone to the computer with the latest iTunes software using a Lightning cable. If this is your first iPhone then you don’t have to sync any data instead you will choose Set Up as New iPhone. 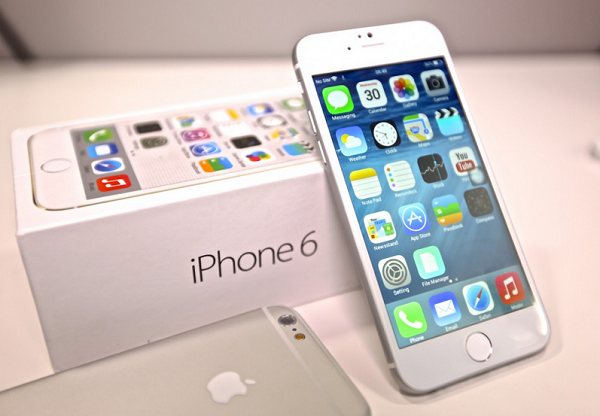 Below are some carrier specific instructions on activating the iPhone 6. If prompted: Enter your wireless number. Select your preferred Verification method: Billing or shipping ZIP code, last 4 digits of Social Security number, or last 4 digits of Tax ID number of the account holder. In the Verification number field, enter the ZIP code, Social Security, or Tax ID of the account holder. Select Next, and then follow the prompts and instructions to complete your device activation. Activate online by visiting att.com/activations and completing the online form. Activate over the phone by calling 866.895.1099 and accepting the Terms & Conditions. From a different phone than the line that you used for your upgrade, call 800.331.0500. When prompted, enter the wireless number for the upgrade-eligible line. At the next prompt, press 2 to activate a different wireless number on your device. Stay on the line and an AT&T Customer Service representative will help you complete the activation. Turn on iPhone 6 or iPhone 6 Plus by pressing the On / Off button. Follow the Setup Assistant’s on-screen instructions. When you reach the activation screen, select the type of connection you’re using to activate the phone. When prompted, review the Software License Agreement and, if you agree, click Agree to continue. Once activation is complete, a message will display on your iPhone. Complete the remaining steps of the Setup Assistant and restore content from your backup, if applicable. It may take up to 3 minutes to complete activation. Just visit the T-Mobile website to have your phone activated. You will need the 11 digit activation code that is included in the package of your SIM. You will need the 19 digit SIM card serial number which can be located at the bottom of the plastic card that holds your SIM. Finally you will also need the 15 digit IMEI number which can be found on the box of your phone or simply by dialing “*#06#” on your phone. Just follow the instructions provided at the website. Once your phone is activated and ready to use you can go ahead and setup several security measures. Use Touch ID to secure your device or use a lock code to automatically lock your screen. This helps protect your data in case you lose your phone or leave it somewhere. Now that your iPhone 6 is properly setup you can start using it. This is the time that you will notice some issues with your device as what new owners have been reporting. Below are some issues that have been reported. A lot of people who have previously used older iPhone models say that the iPhone 6 drains its battery very quickly. One person even reported that from a full charge his device went dead in just a span of 4 hours. This doesn’t sound good especially if you are going on a long trip and you need your phone to stay connected. To resolve this issue try to follow this simple battery saving tips first. The battery drain issue could also be caused by a certain app that you downloaded on your phone. Go to Settings > General > Usage > Battery Usage and from here check which app is using the most battery charge. If you spot a certain app then check first if there is an update available for that app. If non then you have to uninstall it. Because the iPhone 6 is larger in size than the previous iPhone models it doesn’t fit well in most pockets. There have been reports stating that if the phone is inside the pocket for a period of time while the person is sitting down it will bend slightly. Several owners of this model have posted photos of their phones that have a slight bend to it. The reason why this phone bends is that its body is made of aluminum which bends easily. One way to avoid this problem is to never place your phone inside your pocket if you are sitting down. You can also buy some of those popular cases to add a layer of protection to your device. Several owners of this model have reported that their Internet connection is slow when connected to their Wi-Fi network. The signal strength on the phone may be full but loading websites takes quite some time. Video streaming sites buffer a lot and most of the time the browser will display “the server has stopped responding” error message. Below are the troubleshooting steps that you can do to resolve this issue. After performing each of the steps below check on your Internet connection. If it is still slow proceed to the next step down the list. Reboot your phnoe by pressing and holding the Sleep/Wake button and the Home button for ten seconds until you see the Apple logo. Turn off Wi-Fi Networking by going to Settings > Privacy > Location Services and under System Services you need to toggle off Wi-Fi Networking. If all else fails you might want to consider doing a factory reset. Make sure to backup your data first. Some people have experienced random reboots on their device. If this happens to your phone as well then follow the troubleshooting steps below. Got to Settings > General > Reset and tap Reset All Settings. This does not delete your data. There is a big possibility that a certain app is causing this issue. You will have to do a trial and error method in finding out what that app is and uninstall it. If the above steps fail then your last course of action is to do a factory reset. Make sure to backup your data before performing this procedure. Some owners of this model have noticed that they can’t upload photos on websites using the Safari browser. One workaround to this is to use another browser. You can also check of there are any new software updates for your device. Several owners of this model have noticed that when they are playing games or watching 1080p movies the phone gets hot to the point that it seems to overheat. It is normal for a phone to overheat once its processor is hard at work crunching data. If it gets too hot then try pausing the game or movie and continue it once the phone has cooled down. This issue may be resolved during the next software update. A quick solution to this issue is to do a factory reset on the phone. Just make sure to backup all data stored in the device first.